Scratch Brush Pens are priced per piece. Refills are priced per package of 6. Handy and comfortable to hold. Brushes come in 4 different types: brass, fiberglass, nylon, and stainless steel. 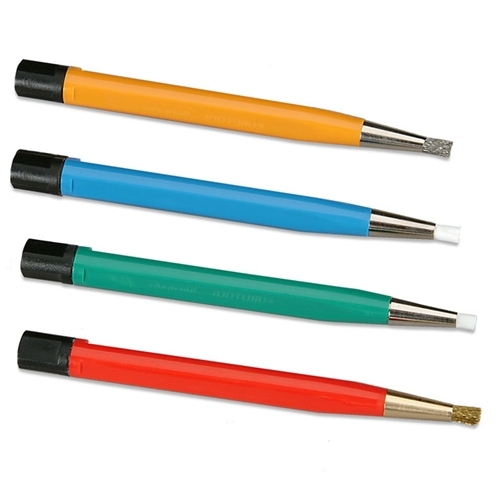 They are excellent for removing rust or corrosion and for reaching into narrow areas. Metal ferrule improves durability. Made in Germany. Brush refills are 1-1/4" long, and are sold in packages of 6.